Import of fruit and vegetables. Throughout the year, totally fresh. We specialise in fresh fruit, vegetables and herbs. We import top-quality field vegetables, greenhouse vegetables and citrus fruits for food service companies and wholesalers. 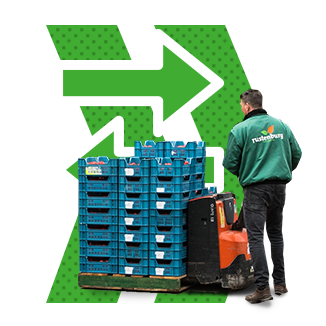 The perfect address for food service providers, specialty green grocers and market traders is our wholesaler at the Food Center Amsterdam. Six days per week, throughout the year. Crispy vegetables, fresh fruit and fragrant herbs; we are the vegetable expert at the Food Center Amsterdam for food service suppliers, specialty green grocers and high street trading. Our range is vast, very vast, and of impeccable quality. At 5.00 we open our doors. Smell, taste, feel and take with you right away, or have your products delivered. We import field vegetables, green house vegetables and citrus fruits, for wholesalers and food service companies from mainly European countries such as Spain, Italy, Portugal and Germany. From complete pallets to mix pallets. Praised by our wholesalers for our quality. Juicy Dumara water melons from Italy, full heads of iceberg lettuce from Spain and fresh green pointed cabbages from Portugal. We know where to get the best produce. Our wholesaler delivers a wide range of delicious produce. The supply is huge, and so is the choice. From crispy carrots to fresh raspberries and from exotic kumquats to Dutch green peas. But also, an extensive choice in fresh herbs such as mint, coriander, tarragon and Thai basil. And all in the best possible quality. We’re all about fresh. That is why we prefer to buy straight from the source. For many of our products, we work together with carefully selected growers. We have worked for years with many of them. Due to short lines and complete traceability, we can guarantee products that comply with the highest quality standards and give full insight into the origin of our products. We have put quality and food safety at a joint first place. That is why we go a step further than legal requirements. Our certificates show what quality means to us. Our inspectors check and sample the products, and residue analyses are done by external laboratories. 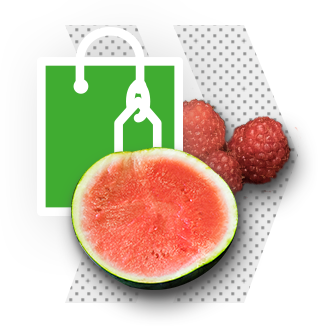 Thanks to reliable relations with growers and suppliers, we can deliver products that meet every food safety requirement. We import products of excellent quality and only if the flavour is the best possible. Deliver healthy, tasteful products. Fresh and all year round. Thanks to our faithful network of suppliers and partner growers, each with their own specialty and product focus, we can deliver and extensive range of fresh fruit, vegetables and herbs, throughout the year. Want to know more about our wholesaler or our import possibilities? You are very welcome! We are located at the Amsterdam Food Center. You can also give us a call, of course. Get in touch with Ed Mourits.